I had the shoe for a really long time, and I used it for mainly skating, and messy adventures, so I see that it reflects my activates in my community. 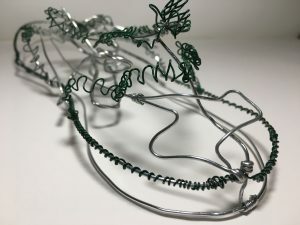 I tried to show the rips in my shoe with the thinner wire along the seamline. 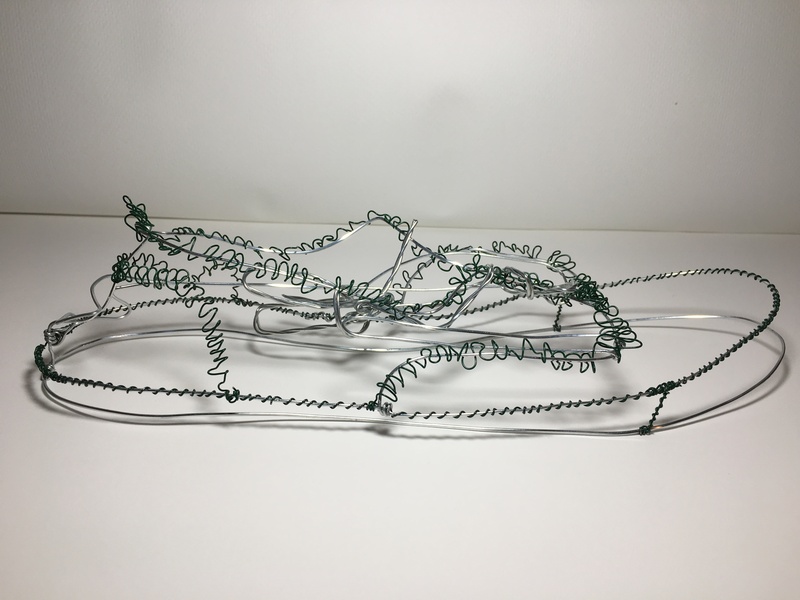 The thicker wire is for the main contour lines, and folds. 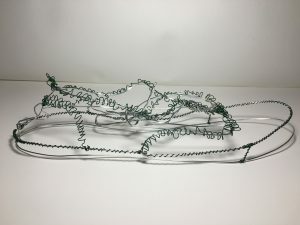 I’ll try to make the sculpture using only one long wire. 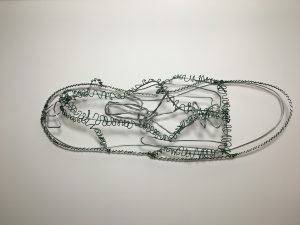 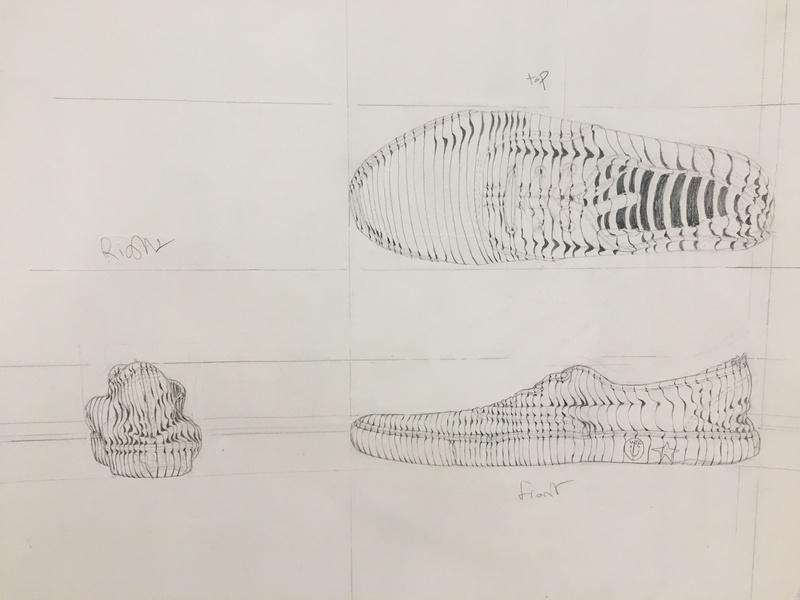 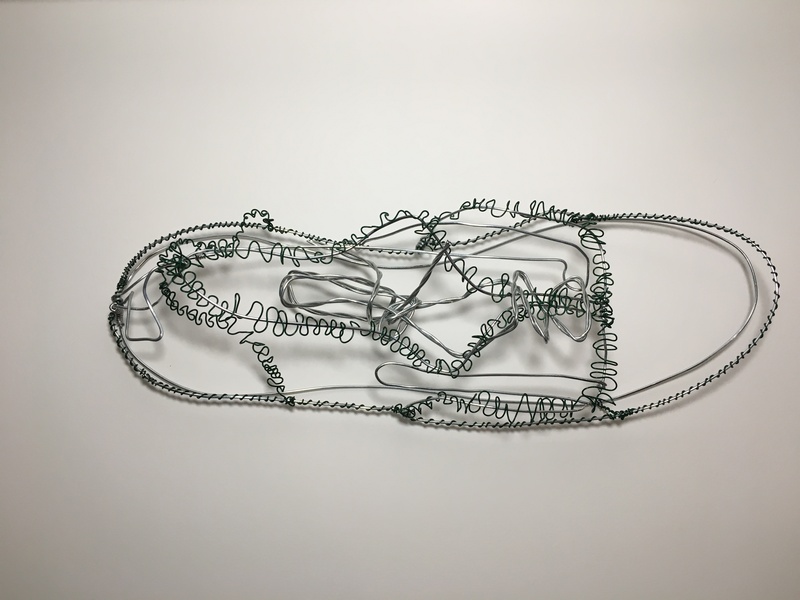 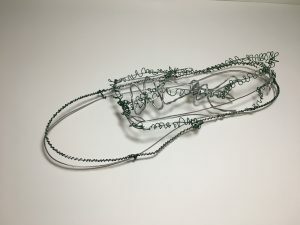 It will be intersingg to see a wire sculpture of an old shoe like that, but it requires a lot of studies and time.